Pulmonary effects: Pulmonary toxicity is the result of hydrocarbon aspiration. The lower the viscosity and higher the volatility, the greater the risk of pulmonary aspiration. The hydrophobic nature of hydrocarbons allows them to penetrate deep into the tracheobronchial tree, producing inflammation and bronchospasm. The volatile chemical may displace alveolar oxygen, leading to hypoxia. Direct contact with alveolar membranes can lead to hemorrhage, hyperemia, edema, surfactant inactivation, leukocyte infiltration, and vascular thrombosis. The result is poor oxygen exchange, atelectasis, and pneumonitis. Respiratory symptoms generally begin in the first few hours after exposure and usually resolve in 2-­‐8 days. Complications include hypoxia, barotrauma due to mechanical ventilation, and acute respiratory distress syndrome (ARDS). Prolonged hypoxia may result in encephalopathy, seizures, and death. GI effects: Local irritation is the usual GI manifestation of hydrocarbon ingestion. Abdominal pain and nausea are common complaints. Vomiting increases the likelihood of pulmonary aspiration. CNS effects: Hydrocarbon toxicity produces various CNS effects. Initial effects are similar to the effects observed in patients with alcohol intoxication. Narcotic-­‐like depression may also be observed. Euphoria may develop, as in alcohol or narcotic toxicity. Eventually, lethargy, headache, obtundation, and coma may follow. Seizures are uncommon and are believed to be due to hypoxia. Cardiac effects: Dysrhythmias are a major concern. Etiologies include hypoxia, myocardial sensitization to catecholamines, and direct myocardial damage. Sudden death has been reported as a result of coronary vasospasm due to hydrocarbon inhalation. Other effects: Hydrocarbons are reported to cause bone marrow toxicity and hemolysis. Chlorinated hydrocarbon toxicity may cause hepatic and renal failure, and toluene toxicity may lead to renal tubular acidosis. Direct contact with the skin and mucous membranes may cause effects ranging from local irritation to extensive chemical burns. In addition, a myriad of other health effects include but are not limited to the following: headaches; migraines; body aches; rashes; scarring; sores in the nose, ears, and throughout body; nose bleeding; ringing in the ears; dizziness; nausea; drowsiness; rapid or irregular heartbeat; tremors; confusion; irritation of the stomach; coughing; choking; fever; tachypnea; grunting; wheezing; lethargy; ataxia; abdominal pain; arrhythmia; anisocoria; depression; asthma; and toxic encephalopathy. 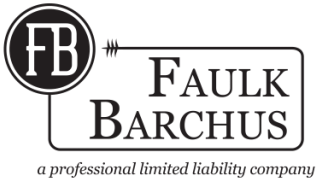 If you or a loved one may have experienced any of the following health effects from oil and gas related activities, contact a Faulk Barchus attorney today.